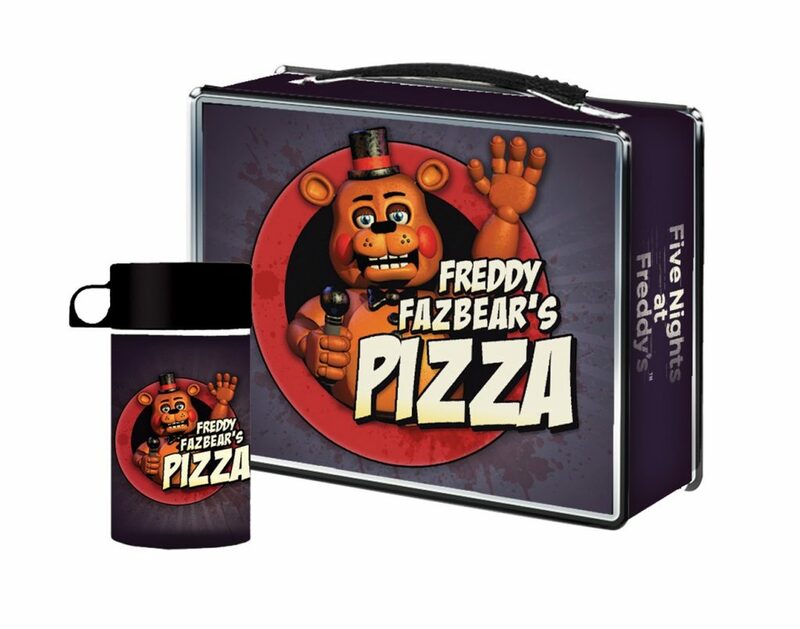 This collectible metal lunch box is a must-have for any fan of the hit horror game Five Nights at Freddy’s! Full-color graphics feature images for Freddy Fazbear’s Pizza on the front and back, and the game logo on the sides. Inside, a metal arm holds the matching thermos in place. Insulated thermos holds 12 ounces and has an extra-secure screw top underneath the snap-on lid (which doubles as a cup). Lunch box measures 8.5x7x3.5″. Thermos is not microwave safe.